DASHING is releasing another sensational and exciting range of eau de toilette that captures all the elements of a body in motion. The Dashing Sports Range provides a fresh, stimulating grooming option with their newly released sport deodorant and eau de toilette collection. The Dashing man has a presence that delivers masculinity and confidence. Th new scent perfectly encapslats the eau de toilette's crips yet profoundly modern notes. The sport eau de toilette has a composition of exhilarating sensations with a sporty and edgy fragrance that appeals to the risk takers and adrenaline seekers. Sweating is a common occurrence. Whether you're walking to your car, heading to a meeting, hitting the gym or any other activity, no men can avoid breaking a sweat, especially in Malaysia's humid weather. Body odor is a problem to many particularly, those active with their dynamic work and social lifestyle. Men are increasingly more self-aware in this digital and fighting body odor is a priority. In battling the odor, deodorant and eau de toilette have been vital men's everyday grooming. Deodorant help in controlling body odor and boosting self confidence, while eau de toilette leaves a lasting scent and masks stench produced by the body. Finding the right deodorant and eau de toilette is important as there deodorants and eau de toilettes that do not last and leaves stains on clothes. The Sport Deodorant Body Spray comes in a 125 ml ca is not only formulated with 24 hours protection but it also has 6-in-1 benefits that helps in the battle against body odor. The Sport Deodorant Body Spray benefits urban men as it is anti-odor, anti-bacterial, quick drying, leaves no stains, has a lasting fragrance and provide freshness. As for the Sport Eau de Toilette, it comes in a nenw sporty 50 ml sleek glass casing, This ea de toilette provides long-lasting sensational masculine fragrance with new formula and color. Both of the deodorant body spray and eau toilette are limitd editions. The Sport Deodorant Body Spray and the Eau de Toilette are available in 2 new variants; Hitman and Golden Boot. Hitman is for the sporty men who is always on the go. It has an aromatic tonic fragrance that has a lively and refreshing smell of sparking citrus and iced cucumber. The Sichuan pepper and lavender gives a hint of spiciness and combined with signature patchouli and gaiac wood, it gives that magnetic and daring scent can easily boost the confidence of any man. 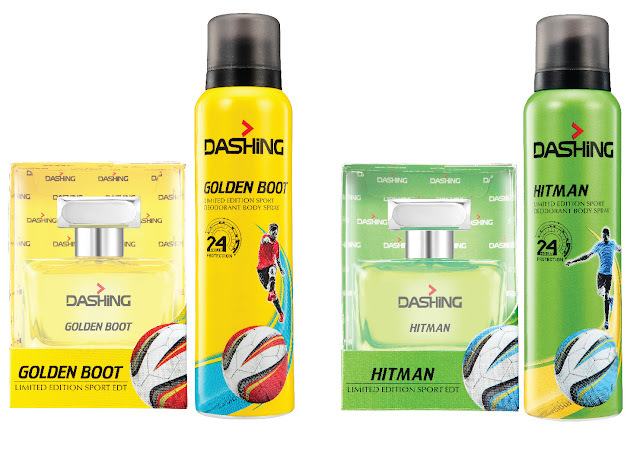 The Golden Boot variant has a more husky and alluring fragrance. The rhubarb leaves and pimento gives that masculine spiciness to the wearer while the blend of cashmere wood and leather creates an unforgettable and appealing signature smell.